Draft: 1990, New York Yankees, 24th rd. November 4, 2011 C Jorge Posada assigned to Gigantes de Carolina. October 30, 2011 C Jorge Posada elected free agency. June 2, 2010 New York Yankees activated C Jorge Posada from the 15-day disabled list. May 20, 2010 New York Yankees placed C Jorge Posada on the 15-day disabled list retroactive to May 17, 2010. Hairline fracture in his right foot. 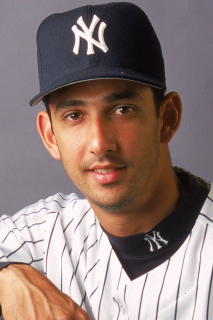 September 20, 2009 New York Yankees activated C Jorge Posada. September 16, 2009 C Jorge Posada suspended. May 29, 2009 New York Yankees activated C Jorge Posada from the 15-day disabled list.